What Comes First? Notes or Labs? The number one question from science teachers that I’ve gotten over the past couple of years is, “What comes first, the notes and INB templates, or the labs?” I wish there was a definitive answer, but I really do think it can work either way. I always tried to use the 5E model in my class, but quite often there just wasn’t enough time to properly go through every step in the model. There were also times where I felt like some direct teaching needed to be done prior to going into the lab. I will say the research points to the 5E model as being a highly effective way to presenting new concepts in science. Time permitting, I personally feel like the 5E model is the best approach. I’m going to walk through a sample lesson and show you how I would have structured it in my own class. I’m going to use the lunar cycle as the concept being taught throughout the rest of the article. This piece is often forgotten, but I believe it’s critical to the entire lesson. Students need to be interested in what they are learning. They also need to understand why it’s important for them to learn about the concept being taught. 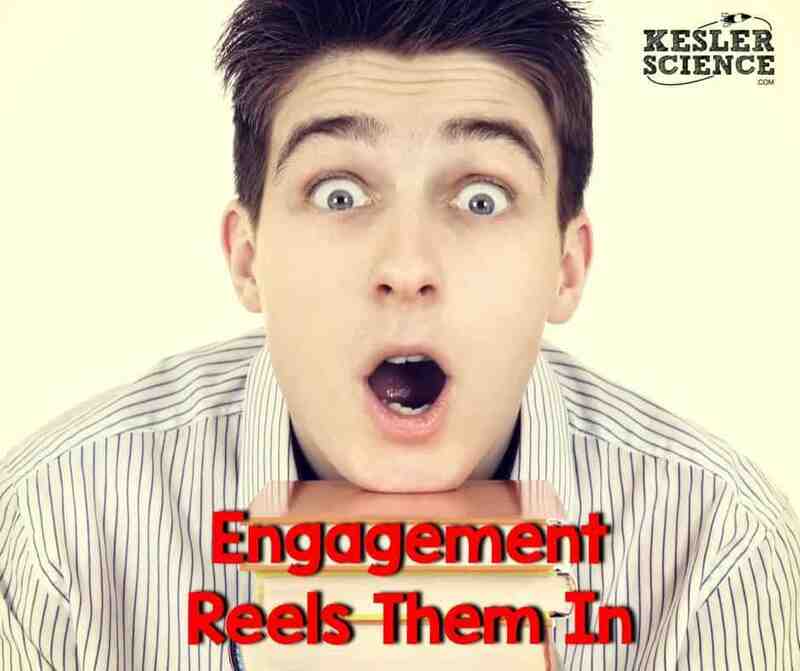 An engagement activity doesn’t have to be an elaborate activity. It’s simply a hook to get the students excited about what is coming next. Some of the ways that I have engaged students in the past are to show them a relevant video about the upcoming concept. This isn’t a 30-minute video, but rather a 2-5 minute clip of something extraordinary…something that will pique their interests. You could also show them a science demonstration (discrepant event) to get them asking more questions about the topic. One of the demonstrations we always did for the distance between the Earth and the moon was to ask the students, “If the Earth was a basketball what kind of ball would the moon be?” This got them interested. By the way, the answer is a tennis ball. Then we would ask, “Now that we have the two objects, how far apart would they be if wanted them to be a scale model of the Earth and moon?” They need to recall information from prior knowledge to come up with answers. The answer is 24 feet, which is much farther than most people would think. Most students are hopefully hooked and want to learn more. I’ve also had success having the students act out pre-written skits or answer a big topic question in their journals. For example, “Why do you think the moon changes in appearance every night?” You could also have them read through a relevant news article about the topic. The point of the engagement is to get the students asking more about the topic. If you can do that with an engagement, then you have won. The next part of the 5E model is exploration. This is where you strategically allow students to learn and explore new information about the content. This part of the lesson should be student led. One of the hardest things for some teachers is to let go of the direct teaching. There is a time and place for it, but this isn’t it. When you empower the students to learn on their own, you are providing them the framework to be successful lifelong learner. This should be the ultimate goal for any teacher. In this module I would allow students to take a class period or two and dig into the material. I personally love station labs and have one specific to the lunar cycle. 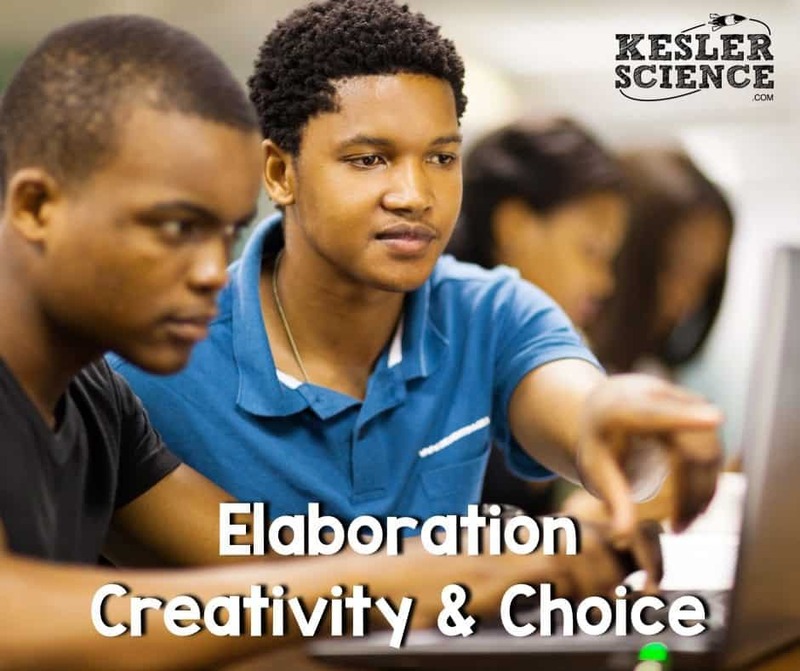 Your curriculum probably also has labs and explorations for each of the main topics you teach. Don’t be scared of the lab! Read this article if you want to learn more about how to run an effective station lab. Within this part of your lesson you need to act as a facilitator. Step back and allow the student to embrace their own learning through exploration. We’re finally at the point where you get to direct teach…well, kind of. Listen, I don’t want to be the one to tell you this, but none of your students want to hear you talk in front of the class the entire period. I’m sorry if that hurts your feelings, but it’s the truth. Ask your students if you don’t believe me. 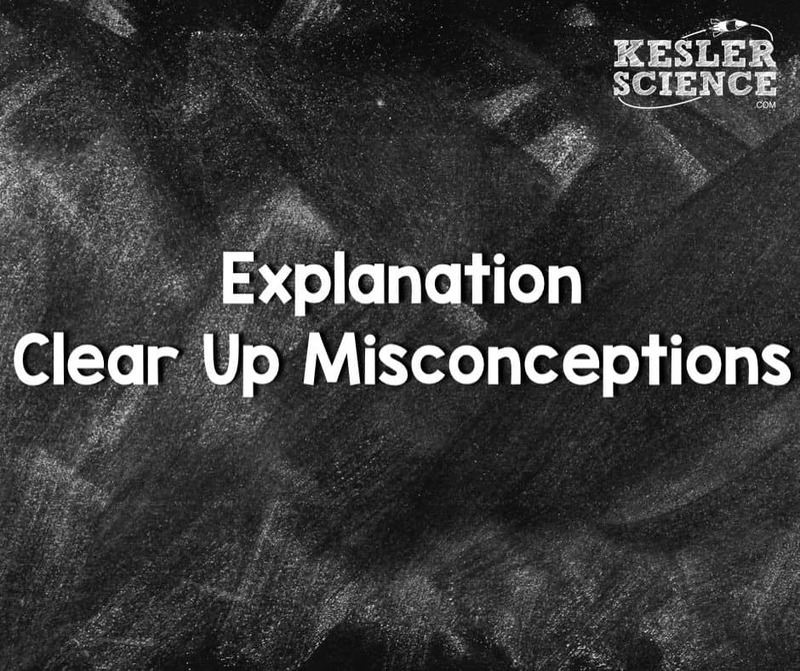 I’m well aware of the fact that misconceptions need to be cleared up, and specific information needs to come directly from the teacher to the student. There are some ways to make this less boring though. I’m not a huge fan of Power Points, but teaching from them doesn’t have to be painful to the student or the teacher. Make sure you are using high-quality images and graphs to embellish your content. Students today are used to seeing infographics, videos, memes, etc. Make the learning process easier by including them in your lesson. If you have a 20 slide presentation make sure to stop every couple of slides and allow students to process the information. You can do a think-pair-share or a quick write in their journal to break up the monotony. Heck, let them get up and act out the information being presented for 30 seconds. I know this sounds terrifying to some of you, but your students will respect you so much more if you are purposeful with their time. This is also the time where I would use the interactive notebook templates. You can easily break up some of the note-taking by using a quick brain break to cut out the template. 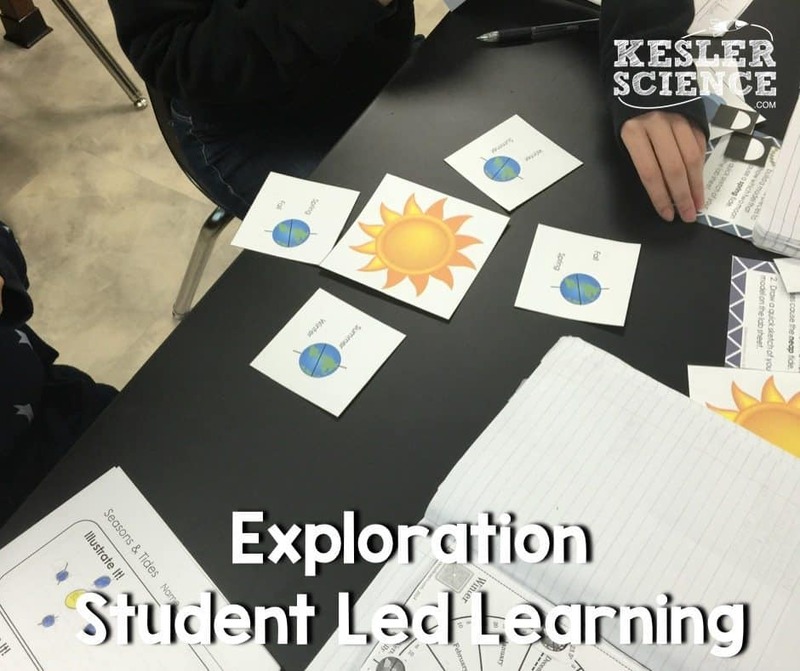 Read this blog post if you want to learn more about how I use interactive notebooks in science. By this point in the lesson the students should have a pretty good understanding of the topic, but they will not truly understand the concept unless they are able to teach someone else about it. This is my favorite section of the 5E model. It allows students to use their creativity to prove mastery of the concept. This section is student led much like the Exploration module. My favorite way to have students prove mastery is for them to create a product. The most common thing students will want to do is create a powerpoint presentation about the concept. Although there is value to doing this, I think you could really take it to the next level by allowing them to use 21st century tools to create something more unique. They can create a video with their cell phone, a podcast about the topic, a webpage dedicated to resources where people can learn more, a model, a digital model, an illustration, or a blog post. There are so many opportunities out there. Students will definitely be able to find something that works for them. The important piece is to allow choice. Students are much more likely to buy into this process if they have a choice. This portion of the lesson should at least start in the classroom, but it can also be an at-home project. It’s important to be clear about your expectations even if they are as simple as, “Create a product that shows you understand why the moon changes in appearance each day.” I was never a big fan of huge rubrics because I found that kids ignored them for the most part. I felt they also stifled the creativity of some students. If you like big rubrics…go for it! Be sure not to grade creativity though. We’re looking for mastery of the subject matter. One of the my big hangups early on about this module was the fact that presenting projects is very time consuming. You could easily kill two days for presentations. I learned that you don’t have to allow each student or group to present in front of the class for every project. The goal should be student mastery of the concept and I can assess that very quickly during the creation process or by going through the projects after they are completed. I will admit that grading was not a strength of mine. I chose to focus my energy on ensuring students were engaged in work that showed they understood the standards they needed to know. I just didn’t get hung up on spending 10 minutes per project to ensure that every last point was meticulously calculated. We all know what high-quality work looks like. We all know what mastery looks like. Was that accomplished? Instead of presenting projects to the class why not host a class website or blog where students can share their work with each other. Better yet, why not let them share their projects with the world. Students will work a lot harder if they know they are going to be judged beyond the classroom. At this point in the lesson you should have a really good idea of who knows what. We always had one day of the week where students could stay after for tutorials if they were struggling with a topic. If I saw students that weren’t grasping the lesson I would quietly ask them to come to tutorials. Sometimes they came. Sometimes they didn’t. Before handing out any kind of formal assessment I could usually pinpoint how each student would do on it. I personally would feel comfortable not even giving a formal test, but administrators required me to do so. In my state students have to take a standardized test for science in the 8th grade. This will help prepare them for those types of questions. One suggestion I would make is to start slow. Take the topics that are the most critical during your year and try to structure them using the 5E model. You don’t have to do this for every standard if time is a concern. 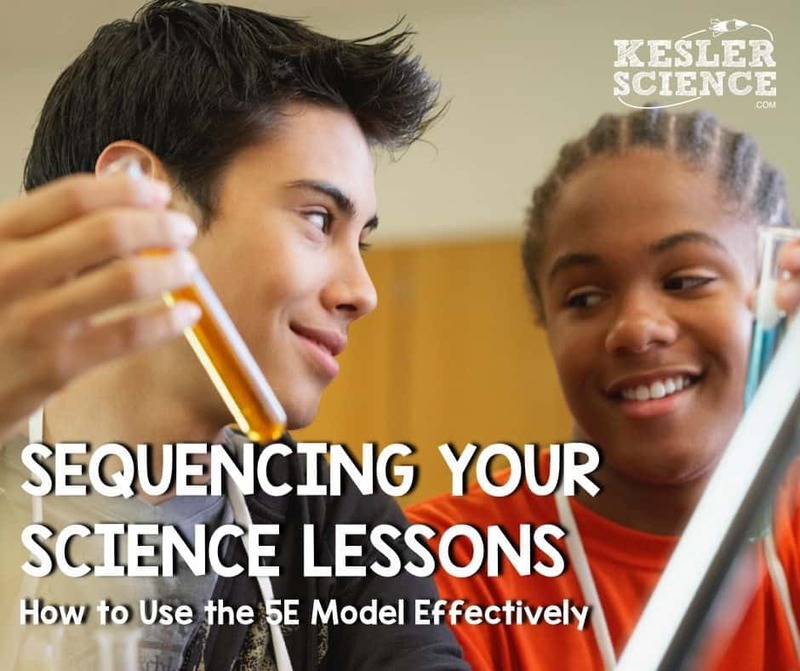 The 5E model is a fantastic structure for delivering a lesson, but as I mentioned earlier, sometimes there just isn’t enough time to go through the entire process with each standard. In a perfect world every standard would flow using this method. 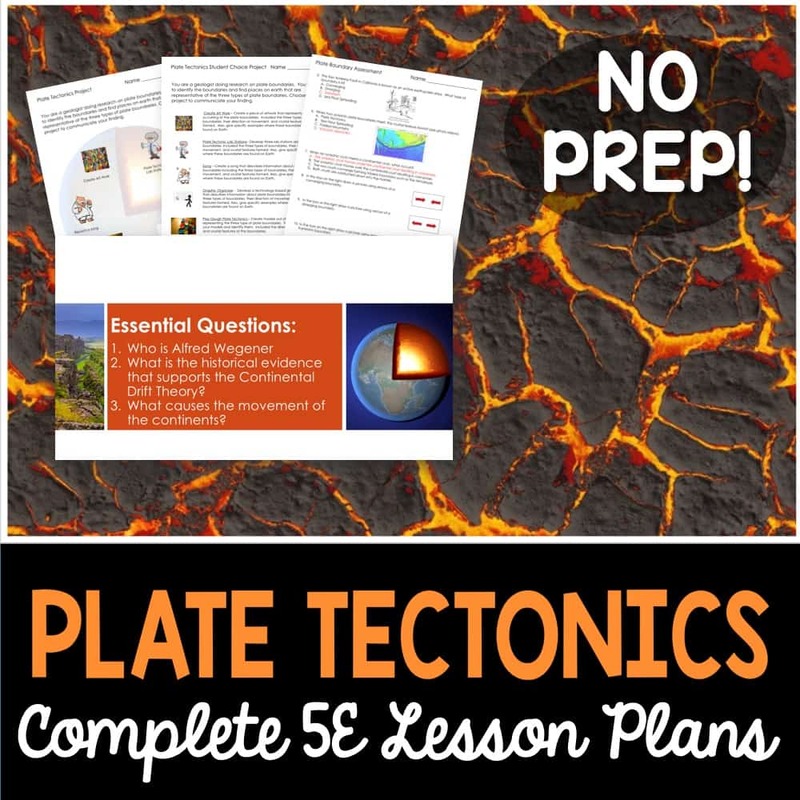 Unless your curriculum is already packaged in the 5E format you are going to have a very busy year lesson planning. 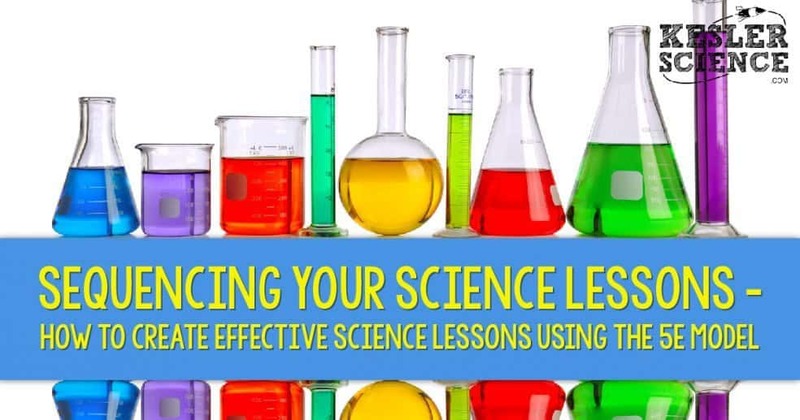 I’ve created a ton of resources for middle school science teachers including comprehensive 5E lessons.